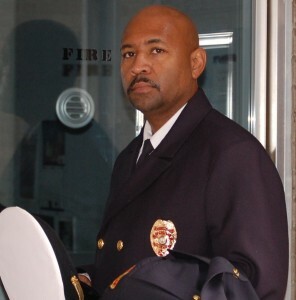 Flint Fire Chief Raymond Barton hopes the Camp Fire program will help participants gain knowledge while building confidence and leadership skills. When they are young, one of the first things parents teach kids is to stay away from fire. But as they get older, the message morphs from one of total avoidance to that of respect. After all, what kid doesn’t love toasting s’mores over a bond fire or the feeling of accomplishment that comes with earning that coveted family grill master status? 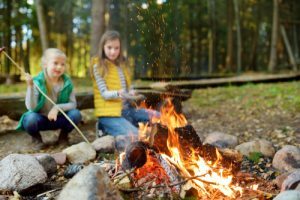 Regardless the activity, maintaining fire safety is a constant in most households and our kids are well aware of the rules. They know family fire escape routes, understand the importance of smoke detectors and the essential tenets of fire safety. The two-week program, supported by the City of Flint, is aimed at providing girls and boys with a comprehensive, intensive overview of the firefighting profession. It’s very physical, hands-on and intense, according to organizers. Girls and boys will have the opportunity to do things that they may never have done before. Cadets will gain a confidence and inner strength that comes through accomplishment and success, free of charge to participants. 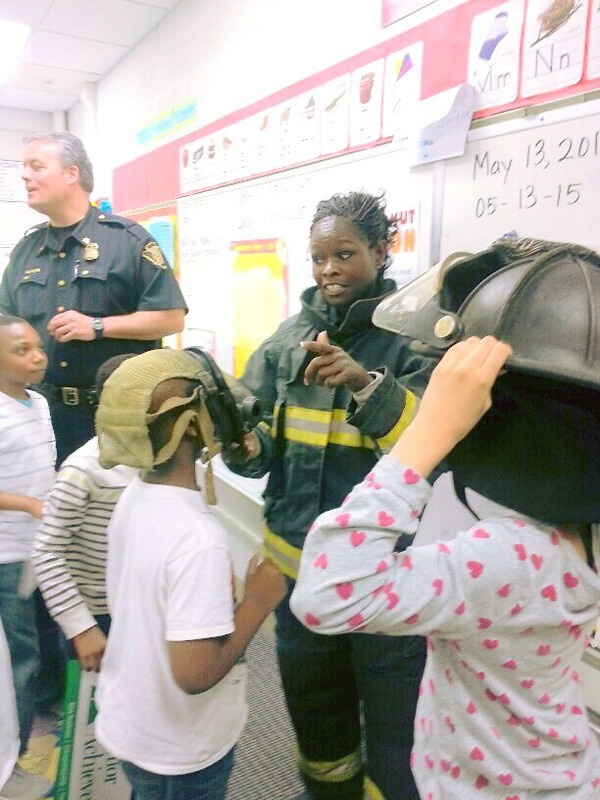 Flint Fire Department’s Deputy Chief Carrie Edwards participates in fire safety instruction at Randels Elementary School in Flint. She serves as a positive role model to the community’s children, especially for girls who may be inspired to go into the field. Photo courtesy of Flint Fire Dept. The program is expected to be a game changer for participants who might not have otherwise considered fire fighting as a career alternative, according to organizers.